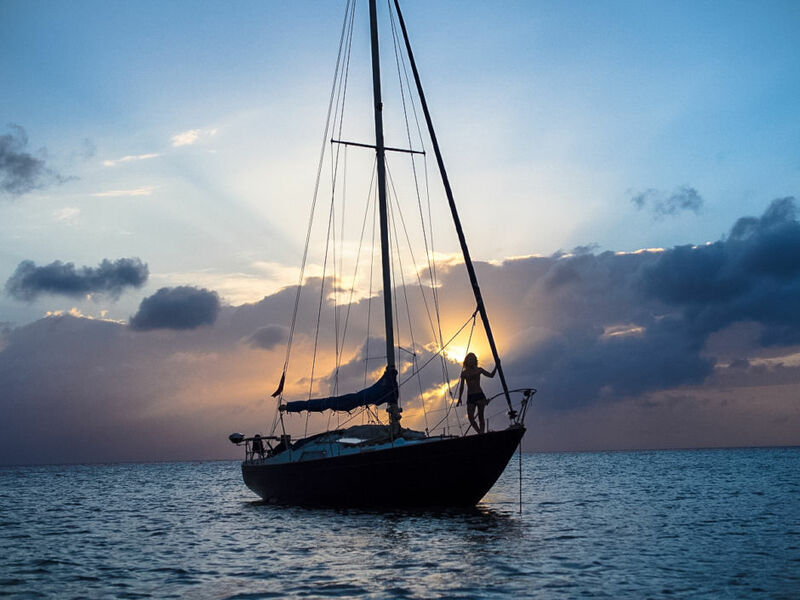 10 images that will make you want to make your home in a sailboat and cruise around the world. IN 2014, I set sail with my partner on a 1974 yacht. We left England in June and sailed south with no real idea of where we were going. I had never sailed before but I was spurred on by the promise of tropical islands, intriguing animals, and clear, warm waters. We ended up sailing for over two years, covering 17,000 miles to Panama and back again. This life-changing voyage opened my eyes up to this age-old method of travel and just how little you need to go great distances. I was desperate to leave England’s chilly shores behind and head for the heat of the tropics. To me there was nothing worse than sailing in eight layers and freezing in the cockpit at night. But England had tricks up its sleeve. 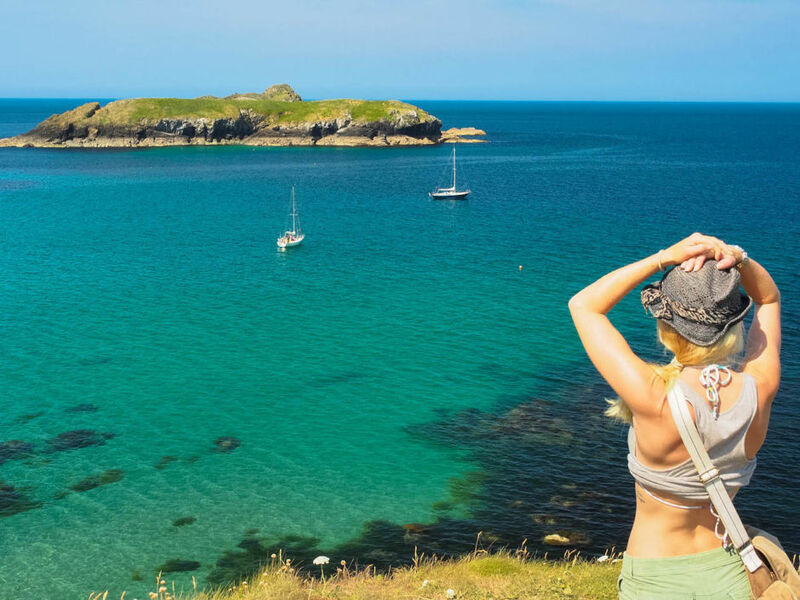 Anchoring in Mullion Cove, on Cornwall’s rocky southern coastline, I was astounded to discover that this corner of the world had its paradisiacal days too. The ocean is a mesmerising place and sailing for weeks on end with no land in sight can lull you into a daze. 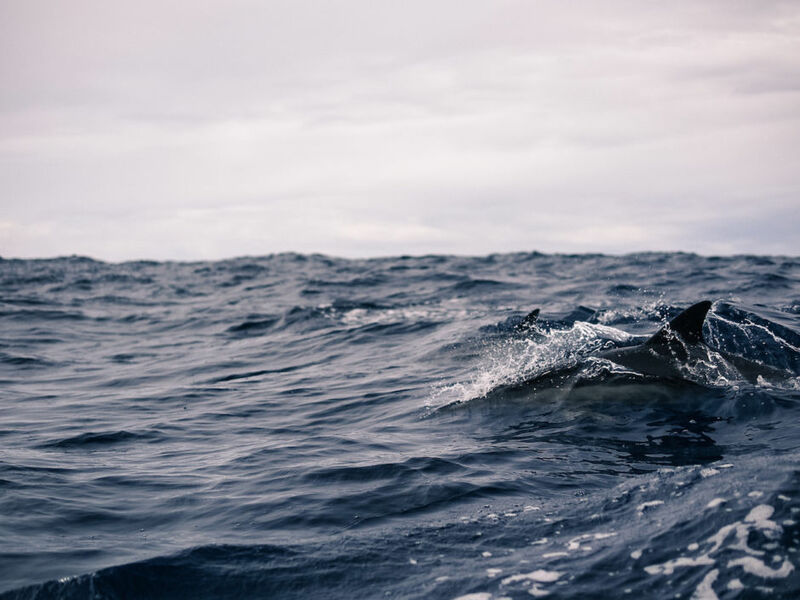 Nothing is more sure to jolt you out of your pelagic reverie than the snort of dolphins as they appear, quite literally, out of the blue. Chattering away to each other, this pod put on a display worthy of Cirque du Soleil and stayed with us for hours. Waking up to this view never got old. Anchored with just a few inches under the keel and protected from the Atlantic by a coral reef, this kind of scene was what I had sailed over 4000 miles to see. 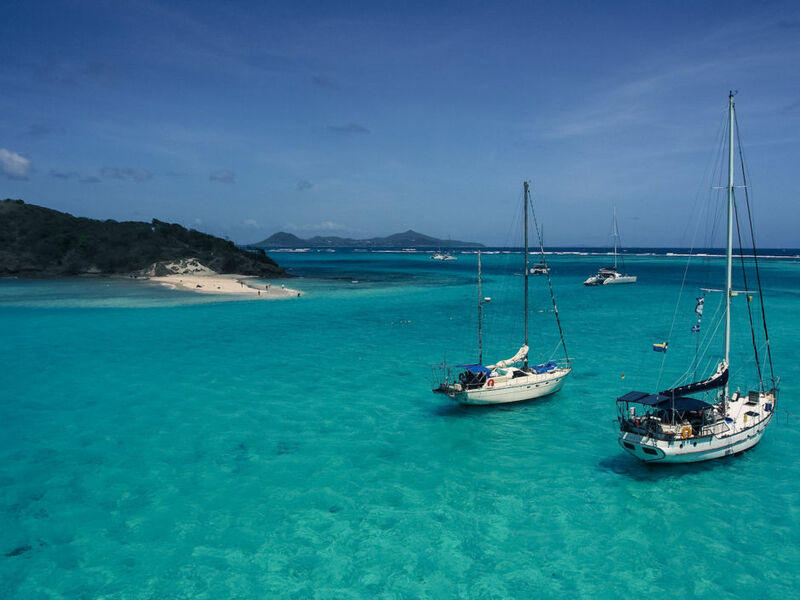 This is Tobago Cays, a protected smattering of islets and reefs. While the water may look clear and serene, just below the surface is an abundance of curious fish of colour imaginable. As I snorkelled around the reefs, sea turtles gently finned along past me, their conservation tags glittering like jewellery. When the Circle of Adults appeared out of the blue haze, it was almost horrifying. Coral clung to their bodies like mould. Fish nibbled at their cheeks and darted around their linked arms. Never have I felt so much as though I’d stumbled upon a forgotten tomb. I had been in Grenada for a month and this seemed a fitting place to visit on my last day. 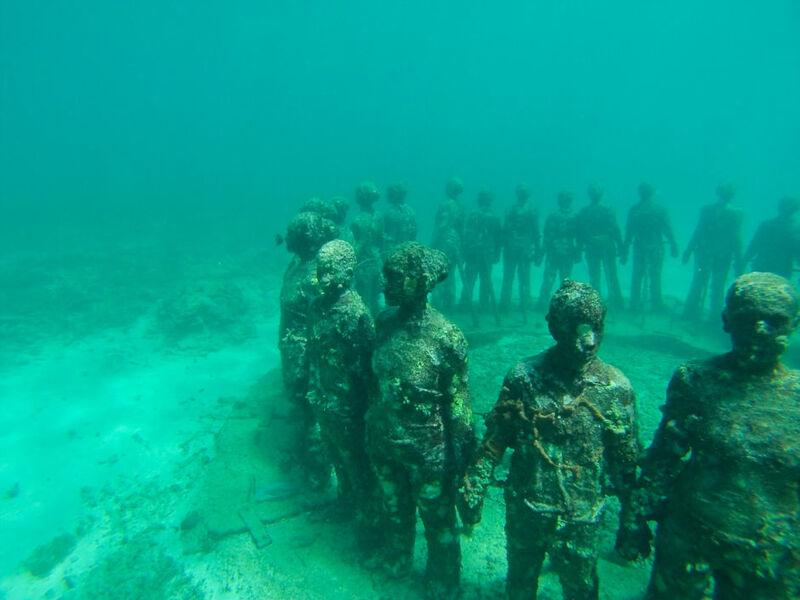 As I sailed away from the island, I felt the pull of the drowned sculptures. I was entranced and afraid in equal measures. You never know who’s going to turn up when you’re sailing. 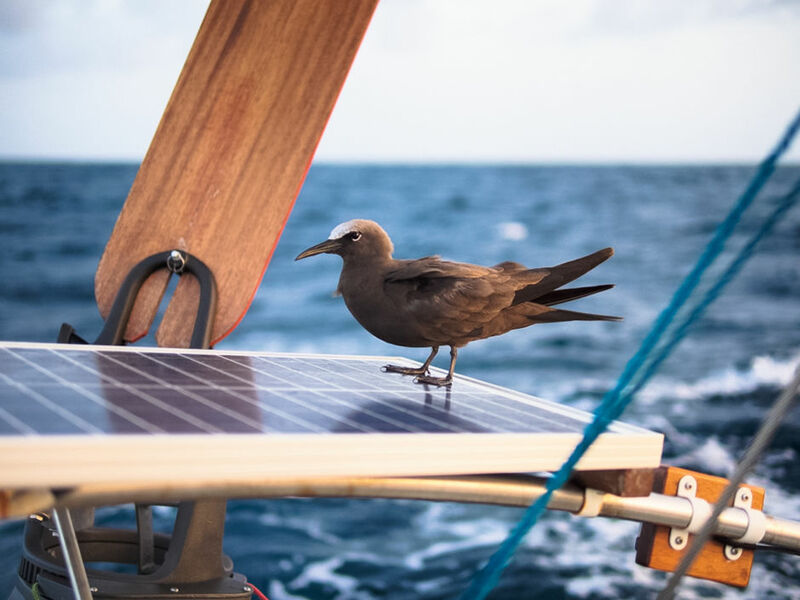 This guy is a Brown Noddy who found us in the Caribbean. Refusing to leave his relaxing perch on the solar panel, he would merely jump every time we sloshed a bucket of water over the panel to wash the bird poo away. He made himself at home so quickly I wondered if he was here to stay. Views from sea often captured things we’d never be able to see from land. 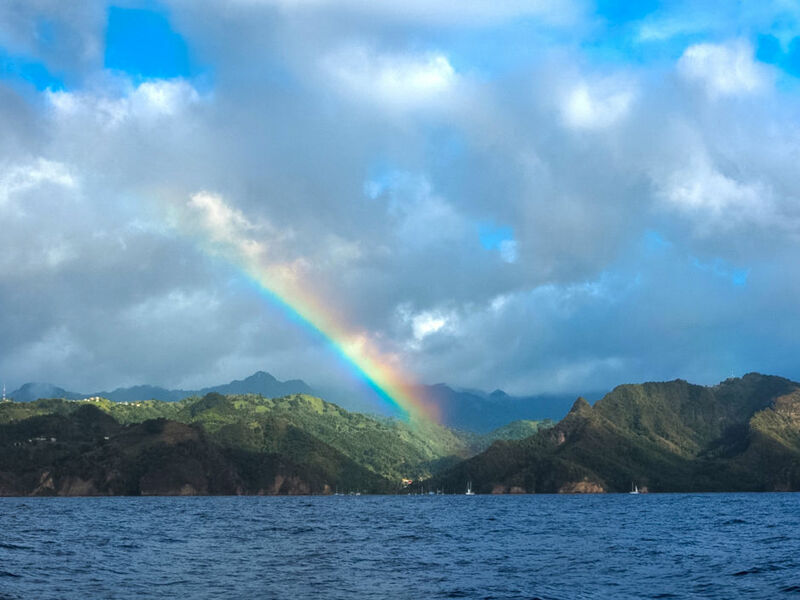 This rainbow was cast over St Vincent and down into the bay where "Pirates of the Caribbean" was filmed. I’d often see rainbows at sea, sometimes on coastlines or in the spray of dolphins’ exhalations. It was the rainbows mid-ocean I found most extraordinary; knowing that I was the only person on Earth who could see that exact rainbow. The fishing industry produces such a huge quantity of by-catch that it’s difficult to justify eating shop-bought fish. I had never fished before I set sail but that soon changed. Catching and eating my own fish really changed the way I saw the life-cycle. 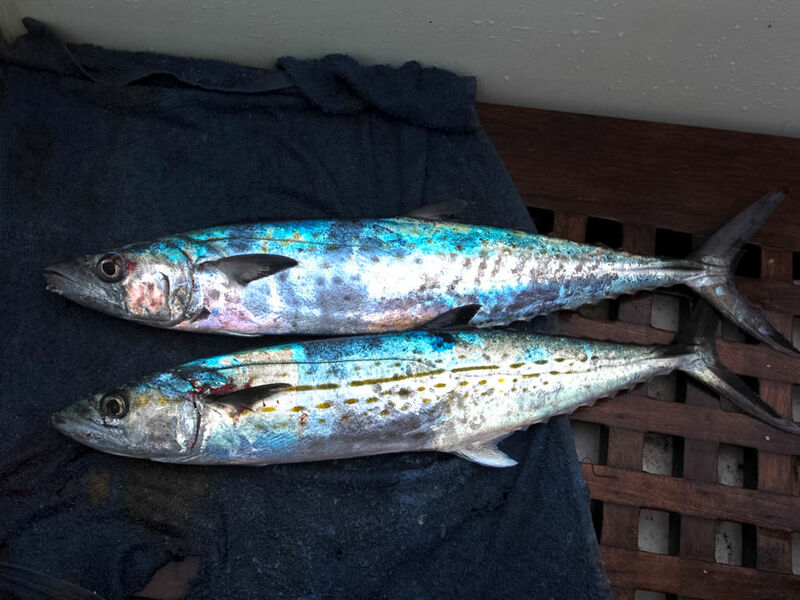 Sometimes, when my partner gutted fish, we’d find smaller fish in its stomach and I began to see the hunters and the hunted as a long line rather than a single act. With no by-catch either, I knew I was eating sustainably. The longer I lived on board, the closer I felt to the boat. She was keeping us alive as much as we kept her alive. Especially at sea, I no longer saw her as a yacht, but as a living, breathing creature who was as much of our adventures as we were. The simple acts of walking around her deck, touching the rigging and running my hand down her forestay was akin to that of an owner and their faithful dog. I knew very little about individual Caribbean islands before I arrived in the West Indies. I had only ever seen the Caribbean in holiday brochures and I had no idea what to except other than sandy beaches. 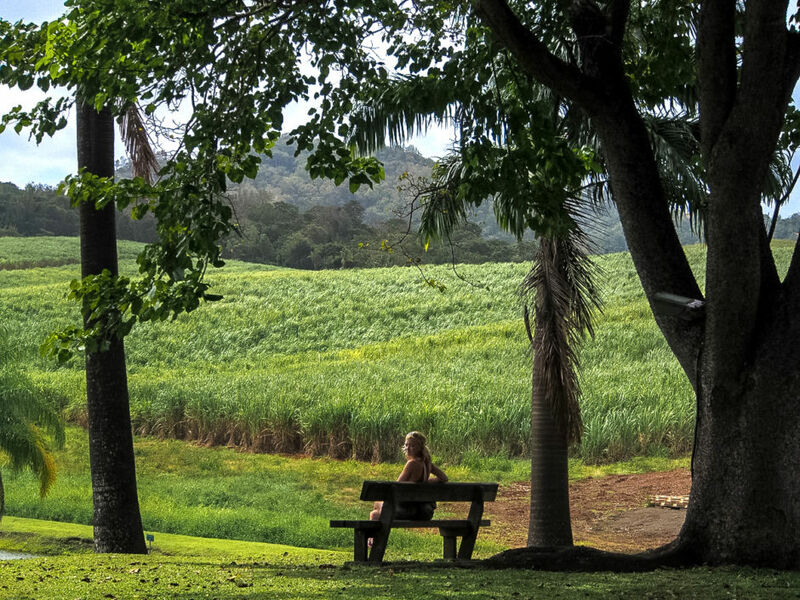 In Martinique, one of the French West Indies, we discovered many working rum distilleries, ensconced in the history of the island. There’s something about sailing that opens you up to surprises like this. Booking a holiday often involves research of things to do, but sailing? You just wash up. This photograph was taken at the Clément Rhum Distillery. Night time at anchor is one of the most exquisite experiences I’ve ever had. 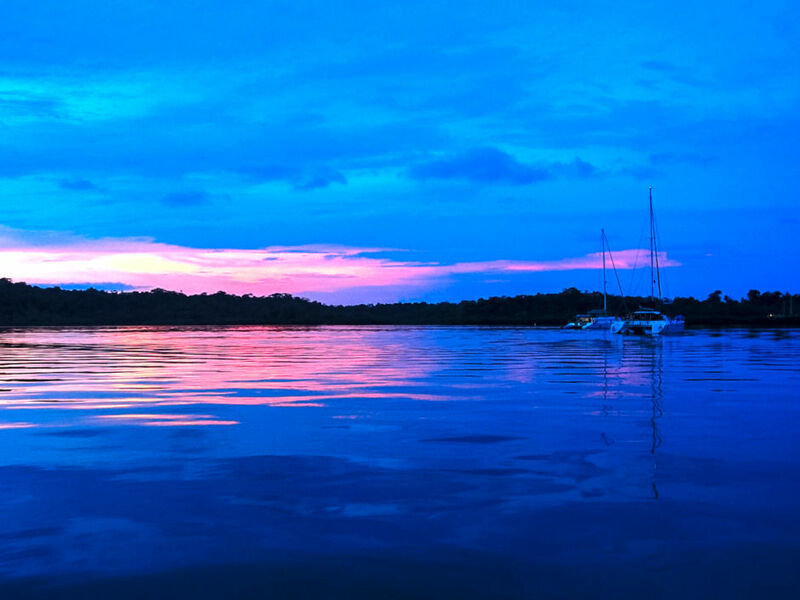 I watched sun sets over smooth waters, listened to the parrots make their way home to roost and listened to the gentle lapping of water against the hull. As much as night times can be noisy in strong winds, the can also be so silent it’s hard to imagine that you are even awake.